Welcome to the start of something very different. 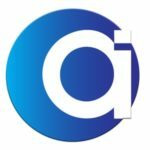 Artists of the Industry is a socially responsible digital content agency connecting the most interesting and fascinating creatives with forward thinking partners. We develop emotionally connected, technologically advanced, and innovative content to tell stories, grow market share, and expand corporate culture and legacy. A of the I Nation is our contribution to other’s success. We are here to serve our customers in concert with the talented men and women of all creative content and innovative technologies. We empower designers and developers to create new economies, collectively gain market share and deliver the highest and most captivating partnerships through Artists of the Industry. Pure passion for building teams to take A of the I partners beyond the ordinary to the extraordinary starts with taking care of people first. Tornquist’s love for connecting creatives, ideas and technologies together with the need of the customer, allows for a collaborative journey to higher ground in the world of business to business communications. Duane’s relationship with his team and associates will always be the foundation for driving ROI and magic through technology, to become a true asset for the brands and organizations that Artists of the Industry strives to create, customers for life. A diversified career in sales, marketing, entertainment, event production, travel, and hospitality. Tornquist brings it all together to create Artists of the Industry, where it all comes full circle. Pioneering a service and product that is unique, innovative and forward thinking in the experiential content marketing and sales arena is in part, the overall objective of this entrepreneur. For over 22 years Jim owned and operated one of North America’s most well known event technology firms. After successfully selling his company, Jim became the CEO and Co-Founder of Artists of the Industry with his long-time friend, SVP and former CMO, Duane Tornquist. Jim has always aligned himself top talent and believes in surrounding himself with experience, creativity and likeminded individuals in pursuit of excellence. Once recognized by INC. 500 as one of the fastest growing privately help companies in the United States, Jim believes Extreme Customer Service was the key ingredient for his former success and will be front and center, setting the stage for what is ahead for AOFTHEI and its partners throughout the hospitality and corporate communication industries. Spencer Stuard started his career in the entertainment industry at Disney Consumer Product’s Think Tank doing multimedia product development. He was then recruited to Master Key, a Hollywood based VFX house and later shifted gears to design mobile games at Disney Interactive. He helped design top grossing apps and was responsible for rapid iterative prototyping for Disney’s next mobile titles. Spencer went on to help design the award-winning console game “Oxenfree” and a Virtual Reality title. Stuard saw the potential of VR, AR, and other Realtime technologies to reach much further than just the entertainment industry and is thrilled to help lead A of the I’s interactive division. At Artists of the Industry, our passion for bringing innovative, inspiring, and memorable content is the lifeblood on which our agency was woven together. We believe that delivering high-end content to our clients originates from each and every member of our team. We build a culture that intertwines the heart, mind, and soul. Let us know what you think! We look forward to discussing your project and bringing it to life. Please feel free to call, email, or use our contact form and we will get back to you ASAP.